About 2,500 workers at BHP Billiton's Escondida mine in Chile, the world's biggest copper operation, voted late Tuesday to reject a company wage offer and opted instead to go on strike. The walk out could begin as early as Friday, a union representative told Diario Financiero (in Spanish), but it’d likely be deferred for a five-day government mediation to attempt a resolution. Miners have accused BHP, which holds a 57% stake in the mine, of offering no pay increase, seeking to cut bonuses, and removing top-up payments for those who take voluntary redundancy, as well as changing shift hours. Escondida is forecast to produce 1.1 million tonnes of copper in 2017, about 5% of the world's total. 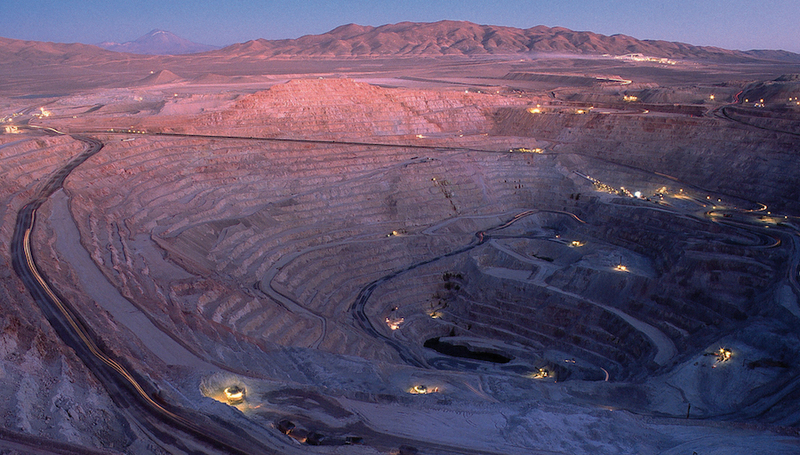 The mine, located in the copper-rich Antofagasta region, in northern Chile, supports just over 10,000 full-time jobs and it is forecast to produce about 1.1 million tonnes of in the 12 months to June 30, according BHP figures. That is equivalent to about 5% of the world’s total copper production. Prices for the red metal have been testing $6,000 a tonne this week, an almost 18-month high, on the possibility of such supply disruption. But the metal fell 0.9% on the London Metal Exchange Wednesday to $5,935.50 a tonne around noon, having earlier touched a two-month peak of $6,007.